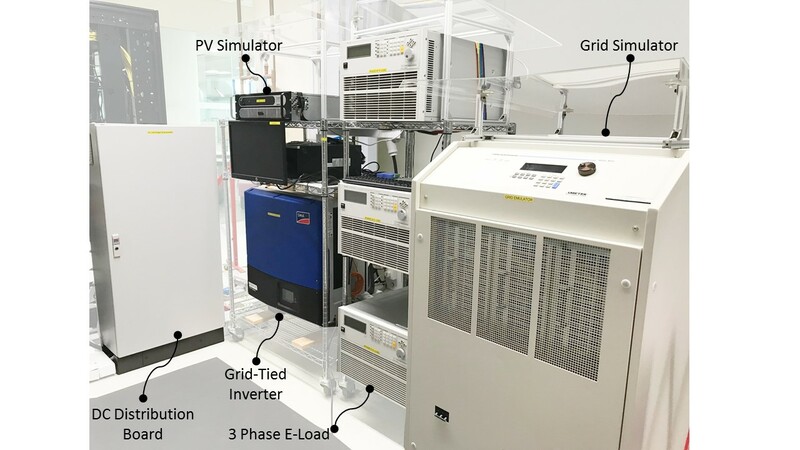 To emulate a nanogrid, power source (inclusive of both AC and DC), energy storage systems, converters and loads were deployed within the testbed. This includes Alternating Current (AC) power simulator, Photovoltaics (PV) simulator, Battery Emulator (BE), Direct Current/Direct Current (DC/DC) converter, Grid-tied inverter, 3-phase programmable electronic load, and DC programmable electronic load. 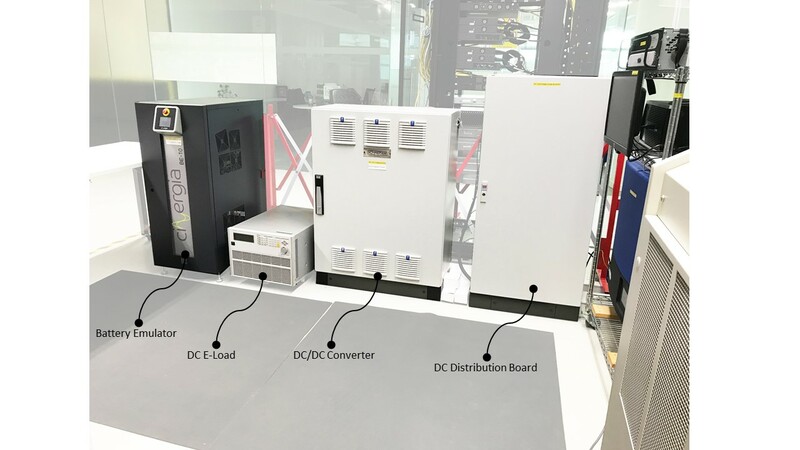 The mentioned equipment are either connected to DC distribution board or AC distribution board to set up a nanogrid system. AC and DC smart meters are installed in these boards to measure and display the values of voltage, current and power. Hence, the operation and response of individual equipment or the nanogrid can be monitored and controlled either locally or remotely. The nanogrid can be operated either in island mode or grid-tied mode. Island mode is helpful for testing a new product of interest. Under such operation, the testing conditions such as a change of power source or power load is controlled locally at equipment side or remotely from Control Room. All data are saved to Plant Information (PI) system. In grid-tied mode, the power from the nanogrid is feed to the Main Switch Board (MSB) and then supplied to the desired testbed rooms via the respective Distribution Boards (DB). Hence, the overall testbed load can be used as the real load of the research product under testing. Photovoltaic (PV) Simulator: TerraSAS 600/17 is specifically designed to emulate the dynamic electrical behaviour of a terrestrial PV solar array. They offer low output capacitance and high closed loop bandwidth to match with the advance Maximum Power Point Tracking (MPPT) algorithms used in modern day grid-tied inverters. Once a current-voltage (I-V) curve has been generated, changes to the irradiation level or temperature can be modified on the fly to test the behaviour of a solar inverter under realistic conditions for cloud shadowing and panel temperature rises. With high bandwidth up to 30 kHz, it allows the simulation of high resolution I-V curve in both static and dynamic conditions working in tandem with high speed MPPT. Rated voltage is 600VDC and rated current is 17A. Automatic crossover between source and sink power mode: offers regenerative capabilities in sink mode that can regenerate up to 100% of the rated output power back to the utility grid. Power DC/DC converter: 2 units of Schaefer C4877KZ with power of 10kW offers a setting system at rated voltage up to 800VDC and bipolar voltage output of -190VDC/+190VDC. Programmable electronic load: a star-connection of 3 units of Chroma 63800 series is available for 3-phase test at 440 VAC and power up to 10.9 kVA, frequency from 45 Hz to 440 Hz. They can be operated independently in AC load or DC load simulation when they are connected in parallel for test of maximum peak voltage of 500V and current of 36A.